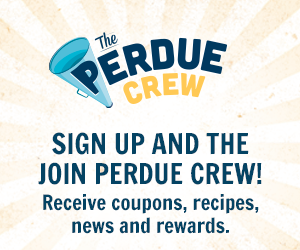 Perdue is giving you a chance to become a member of their Perdue Crew and earn points daily to win one of over 500 American Express Cards valued from $10-$25! It's free to join and they're always giving away great prizes! This Sweepstakes ends on 10/30/16 and you can ENTER DAILY to win.